Today I am just soaking in the word HOPE. What does hope mean to you? According to Webster one of the meanings for hope is to expect with confidence. Oh, how I love this. I can't imagine living each day with no hope. As I walk through life and watch friends walk through life...hope. How do you lose a child and not cling to hope? How do you pray for a friend that has had life flipped upside down on her without hope? How do you wake up each day to face conversations that are heavy without hope? I can't...I truly can't imagine it. 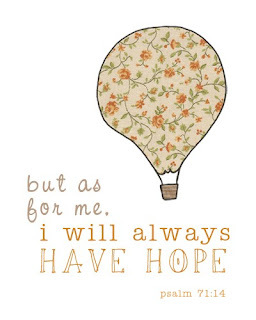 I love this photo above because it's simplicity from Psalms..."but as for me, i will always have hope." Lord thank you for giving us hope. Hope that can only come from you. Hope that you see us even at our worst and still love us like crazy. Hope that You are in control and Hope that builds up our hearts even when we are so discouraged. HOPE...cling to it. photo: ETSY / seller: brightsidephotos / Click HERE to purchase this awesome print. Well, the theme is out! 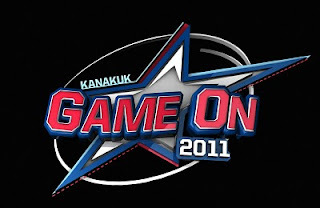 For 2011 the Kanakuk theme is GAME ON! Based on James 1:22..."prove yourselves doers of the Word." It is going to be awesome! I feel like I already want to pack up the Robbins' household to move out to K2! I know it will be here so soon! You can click HERE for the theme video. It's pretty much awesome. Well, we are at the beach this week and having a blast! 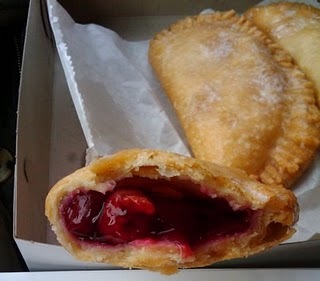 My dad brought some fried pies from his favorite place and wooooweeee these things were de-lish-ous!!!! Oh my! Anyways, not much to post as we are having so much fun and the family is knee deep in sand and sun! Hope you all had great Spring Breaks? Go anywhere fun? 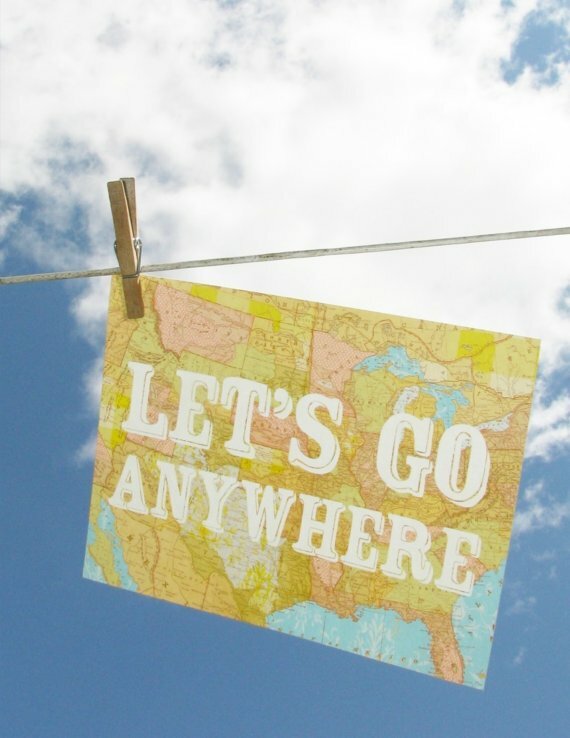 Do you do beach or mountains for Spring break? photo: google / search "cherry fried pie"
tye die shirt every day of summer. big bow in hair every day of summer. crazy shoelaces in shoes every day of summer. nike tempo shorts every day of summer. braids in hair every day of summer. So there are some past years examples...it has to be simple, cheap, and easy for others to join in. I might have to start over and redo some of the years past ones...braids...hmmm??? Any ideas out there? 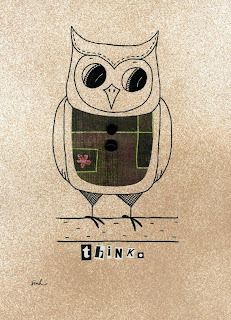 photo: etsy.com / seller: smallworksinwool / WHOOO doesn't love this! Buy Here. Wow! 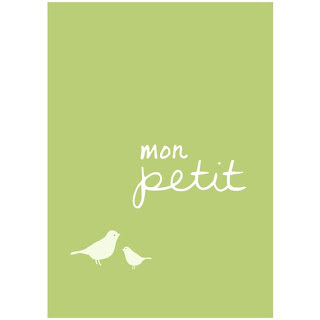 I am so so so so ready for Spring! Does anyone else feel this way? I am all about each season being a season and embracing things and all...but I am done with cold. I am done with boots (although the toesies need a quick pedicure before I slide on anything open toed), sweaters, scarves, and jackets! Bring on shorts, long sleeve tshirts and my rainbow flip flops! Favorite outfit of all time! 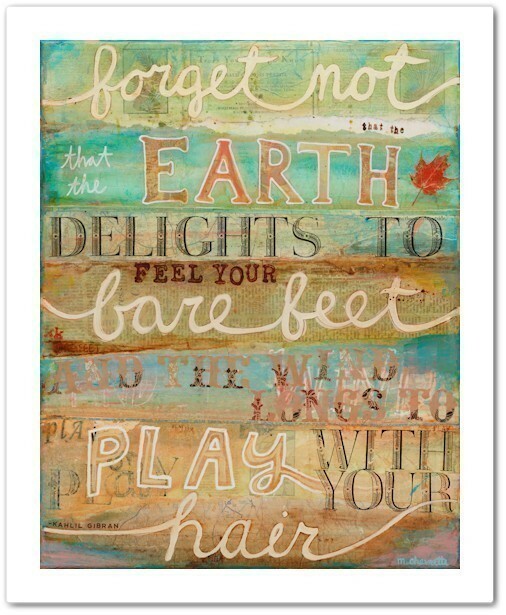 photo: etsy.com / seller: maechevrette / LOVE THIS PRINT. Buy HERE. 0. Nothing else...I love working for kanakuk! 1. Full time mom to a house full of crazy kids...oh, yeah...check! 2. Blogger extraordinaire...sweet, check 2! 3. Bakery owner...yep, I have a thing for wanting to own a cupcake shop. 6. Designer...my friends don't laugh. Okay, you can laugh all you want. They are crazy...but 3 out of 7...that's pretty good! photo: etsy.com / seller: stephaniecorfee / Click HERE to purchase...LOVE THIS! Girls...our tongues are cray-cray. Even on the best of days I believe (myself being scooped into this too) our tongues can be so yucky!!! Yucky meaning...gossipy, deceitful, jealous, vengeful, rude, and the list goes on and on. Grab your Bibles...read James 3...be prepared to be smacked by a 2x4. (not really but close). 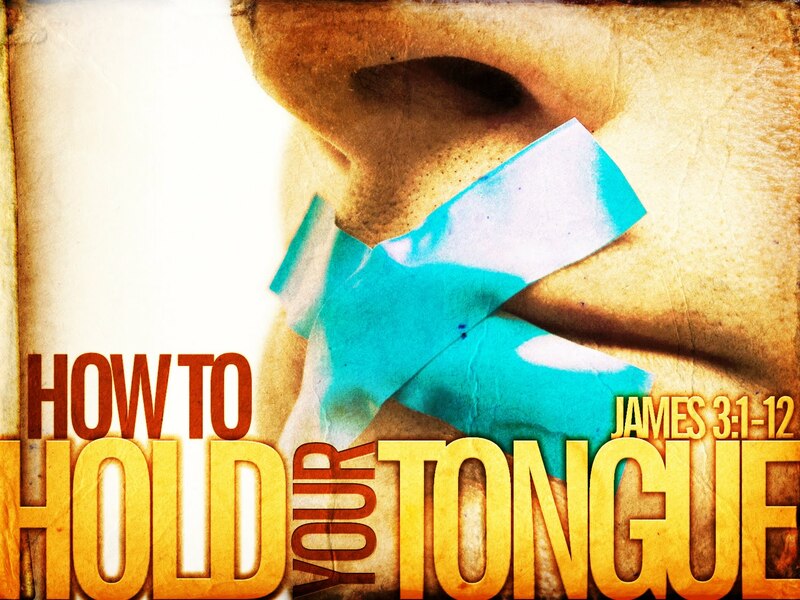 photo: google.com / search "tame the tongue"
1. Paul McDonald...LOVE LOVE HIS SOUND! Will by his CD right now if I could. 2. Scotty McCreery...I mean total precious farm guy next door...love the deep country. 3. Pia Toscano...love her...need a new first name. 4. Casey Abrams...you sir are awesome...so quirky cool. 5. Jacob, Karen & Thia...all tied...you are good. Judges...you are just amazing! Fox did a great job of reinventing for this season without Simon. I have really liked it. Steven doesn't say anything mean, J. Lo is so great compared to 'ole crazy eyes Paula, and Randy is the new Simon (however with Simon I always knew he was right...sometimes I don't agree with Randy). photo: google.com / search "paul from idol"
Well today...a letter. A letter to Miley Cyrus. Now some might be wondering why a "older" mom of 2 and kanakuk director is writing Miley Cyrus. One, it's what I thought of today as I heard talk of her dad and family junk on the Today Show. Two, I work with teenage girls...and although most have moved on to even crazier stars, Miley is in the culture of idol to some of you. I love the picture above of you. You were so innocent and young. It makes me tear up thinking of my two little beauties growing up...prayerfully not too fast. First I think I want to say that "I'm" sorry. By "I'm" I mean all of the world...if I could speak on the world's behalf. Yet again we throw you into this world of fame at a young age and then when you mess up we turn on you faster than you can say woah. I am so very sorry for any hurt or pain or confusion that you had no control over. I am sorry that your family is hurting. I am sorry that you sometimes think that the attention you want or maybe need can come from your body, your words, or how close you can walk the "I'm crazy" line. I am just sorry. Second, I just want you to know that you are worth more. You are worth more than what a photographer says about your body being art...flaunt it. YOU ARE WORTH MORE. You are worth more than a video producer telling you this will make millions and get all the awards. You are worth more than the millions of DVD's you have sold. My heart hurts for your dad and the fact that he is talking to magazines more than you all. My heart hurts for your mom, who no matter what anyone says divorce is awful! My heart hurts for you as you now have perspective that is so dwarfed by Hollywood. Please know that all of the stuff, shows, videos, magazines and awards have no meaning. I always wonder with "famous" people at the end of a day and they are alone in their rooms and mansions what do they think? Do they pray...even if they aren't sure they believe in who they are praying too? Do they let out a breath of air because they are exhausted from people caring what their faces look like without makeup? Do they try their best to think tomorrow I won't care what US Weekly prints about me? I just wonder...I pray for sweet Miley (and I do believe she still is...) that she would cling to the foundation of the Lord that I think was put in her life. He made you Miley...He loves you no matter what. Disney stars continue to break my heart...one mouse ear at a time. 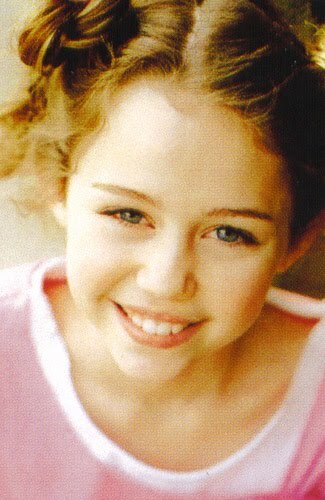 photo: google.com / search "young miley cyrus"
Here I am again with part 3 to I'm not sure how many parts there will be of What Every Little Girl Should Hear. You can read Part 1 Here and Part 2 Here. Okay, so you are all caught up! Part 3 is that I simply want my two girls (and therefore all of you gals!) that they are made with such great, huge, specific PURPOSE! You are unique and there is NO ONE like you. I look at our two little ladies and I know without a doubt in my mind sweet girls that there is purpose and uniqueness to each of them. I know the Lord has such great plans for them. I pray that each of you have had people in your life telling you that...whether you are 15 months old, 15 years old or 55 years old. We all need to remember and stand in awe that our Heavenly Father continually stands in awe of His Creation...YOU. 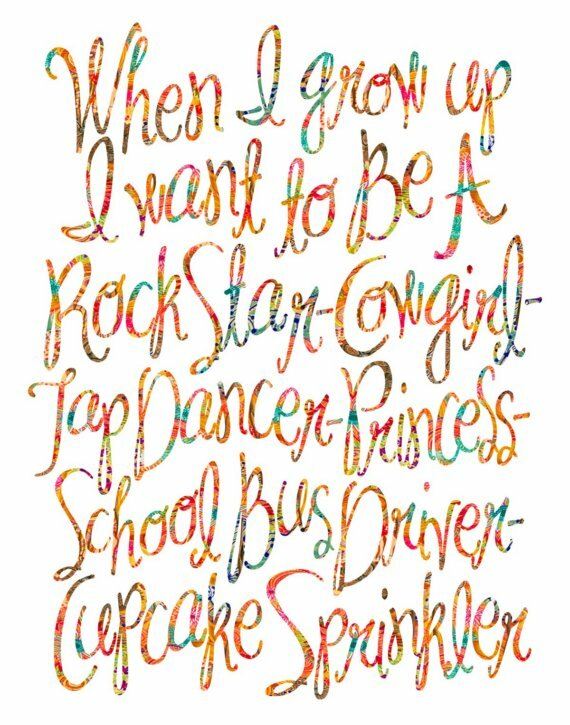 If every little girl (that's us no matter your age) daily woke up know she has purpose and is unique...well, can you just imagine the difference it would make in the world. So remember today (and everyday for that matter) that you from day 1 on your birth day were created specifically to be YOU. You have purpose...doesn't mean you have to have your complete purpose figured out every day but KNOW that you have purpose each day to show love, give love, and be love to those around you. And the only way true love is in us is through Jesus Christ. Amen? Amen!!! Don't let bullies tell you that you are pointless and a waste of air. Don't let a boy tell you to be of worth you have to do certain things. Don't let coaches say you just aren't good enough. Don't even let parents tell you that they wish you were different. If you hear those things, I'm so very sorry. I pray that the Lord's voice would scream in the gentle whisper of the most loving Heavenly Father that you, my precious girls, were made with purpose and just as every fingerprint is unique to that individual, you too are unique to Your Creator. 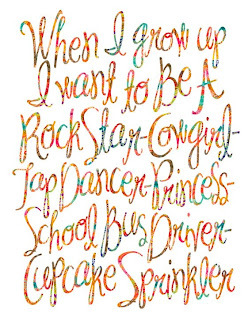 photo: etsy.com / seller: LoveSugar / Click HERE to purchase these adorable print. 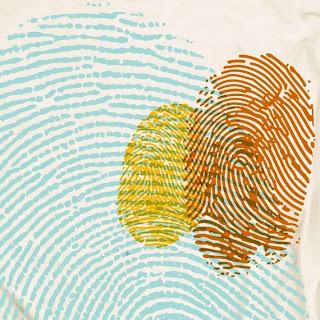 / seller: nonfictiontees / Click HERE to purchase the fingerprint tshirt. Well, we are so close to summer...at least that's what it feels like. As of now all our staff has been hired and are accepting their summer contracts to come and be a part of the best "job" ever known to man! With all the hiring it makes me feel like summer is right around the corner! K2 has some big changes coming that will pretty much melt your face they are so awesome...okay, not seriously melt your face but your cheeks might hurt from smiling and laughing so much. It's going to be epic...yep, i typed it...EPIC. Soon I will be posting about the 2011 leadership teams...guys and gals! Again, EPIC is the word of choice to describe this team. 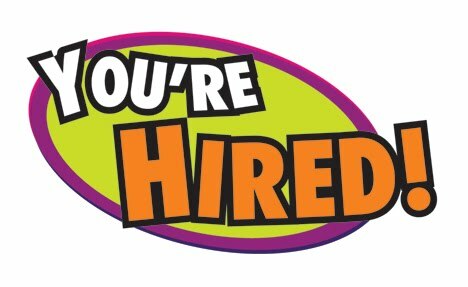 photo: google.com / search "you're hired"
SPRING BREAK! It's coming, right? I mean I think for most schools it's typically during this month...I hope I'm right or this post will be rather untimely! So what are your plans? Beach? Mountains? Cold? Warm? Snow ski or water ski? Windburn or sunburn? The Robbins' Fam is headed to the beach...not for Spring Break because we don't get those anymore but for some vaca! Woohoo! 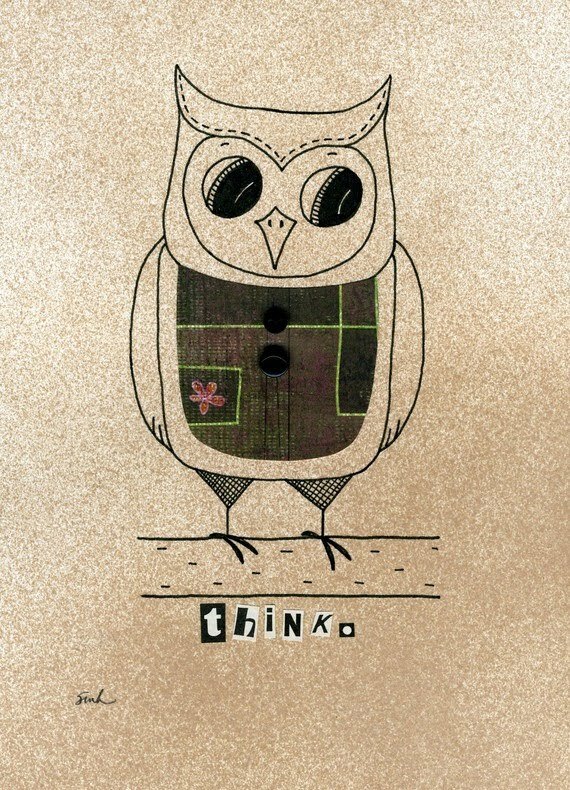 photo: etsy.com / seller: thewheatfield / Click HERE to purchase! So cute! 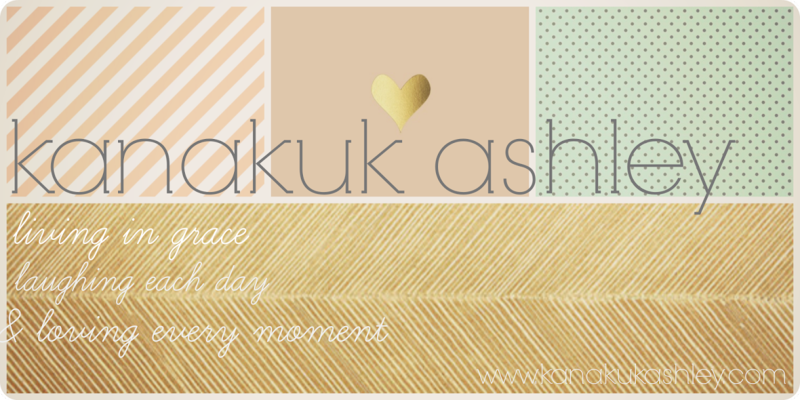 Well, my hubby is all but forcing me to blog about a statement I said the other night. Disclaimer is that I don't think it's all that funny...but to the hubster it about killed him with laughter. 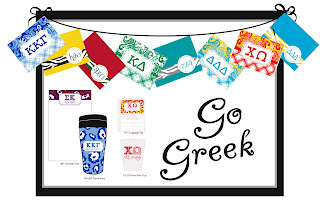 "The NBA is kind of like sororities. One year a team is no one and then turnover happens and they are on top. 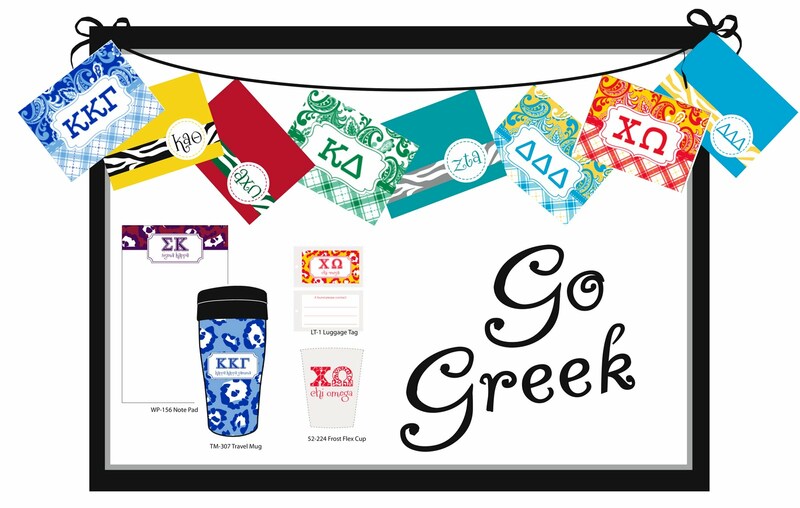 Sororities do that. There is a cycle." So there you have it...I compared the NBA to sorority life. I realize it was an extremely dumb analogy. Welcome to our world! photos: google.com / search "nba logo" and "sorority cards"